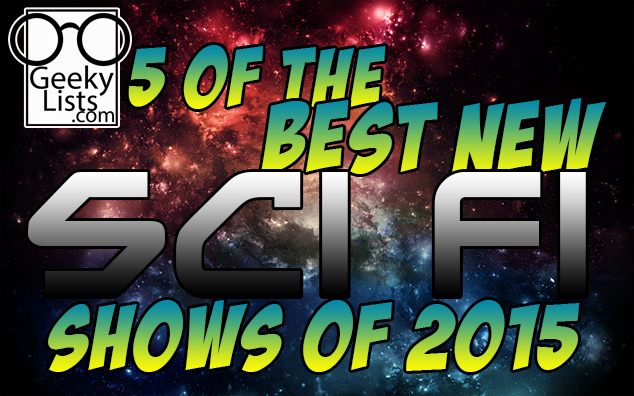 GeekyLists decided to make a list of new Sci Fi shows for 2015 that have the chance to go the distance. Every year a lot of big swings are taken, but at the years end you can tell which shows have risen to the top. In that light we wanted to recommend the shows that we found to be watchable. We figured the superhero shows are getting enough love and as such this is treating them a sub genre. It was a pretty decent year for Sci Fi, and there are a few shows that have potential, but didn't quite win us over yet. Advocates are chosen at random, except that Blue (He is the one running the social media sites) insisted on speaking for Kill Joys. In random order, here are the shows. 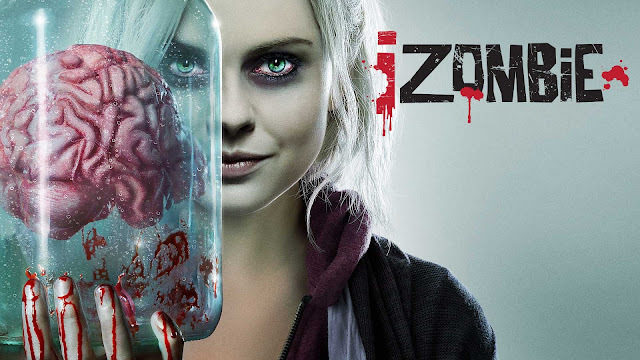 I wasn't expecting a lot with iZombie even though I liked the comic. When I say its a pleasure, I truly mean it. It is a zombie show without the usual outbreak and each character seems to have an interesting take that is totally justifiable about not turning the on switch to the apocalypse. The writing is usually smarter than it has any right to be, and the characters are played in various endearing ways. It would almost seem a horror show but the titular characters are constantly using science in order to try to cure the virus and normally using the skills to aid in the main plot. It is lighter in the science fiction department than the other entries, but the tone, characters, and dialog put it firmly on the watchable list. One of the stand outs is that the main supporting character allows the situation to continue out of a greater duty to science. Also as a music geek, I want to give it extra points for the soundtrack. 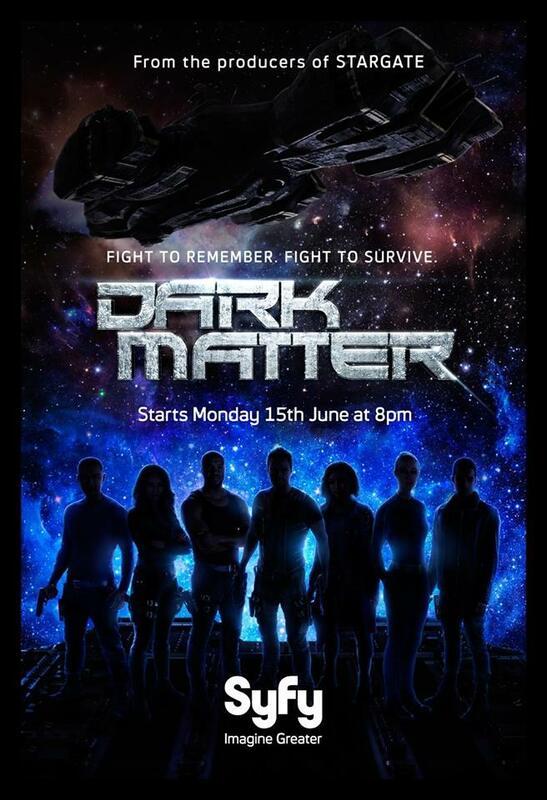 Admittedly, The comic based show Dark Matter starts a little slow, but it has to. The first few episodes are setting up and feel a little stiff and ambiguous, this gives the impression of bad writing. Once you see the character dynamics growing a few episodes in you realize it was actually good writing in that they are a little stiff and ambiguous because they don't actually know each other, and all the set up was because it has more story than most shows. Once it gets set up though, a lot of character development happens and the universe starts growing beyond the ship. The tone becomes reminiscent of Firefly in a good way, and the plots become more about delving into who they were vs who they are now, which makes for great episode variation and development. Each character has their own set of twists and turns ahead of them, and the sub plots are each one finding their role in the group, which is setting up the entire series to be great. With a healthy dose of technology, space ships, gun fights, and even some martial arts fights, it is a very decent show that is only going to get better. Sense 8 has a few pieces of advanced tech, but for the most part it takes place in the present. The Science Fiction comes from the strength of the concept of shared minds itself. I have heard a few people discount it because of the homosexual and the alternative lifestyle tones, but I think that is one of the strongest story devices, having to share thoughts with people completely unlike you. 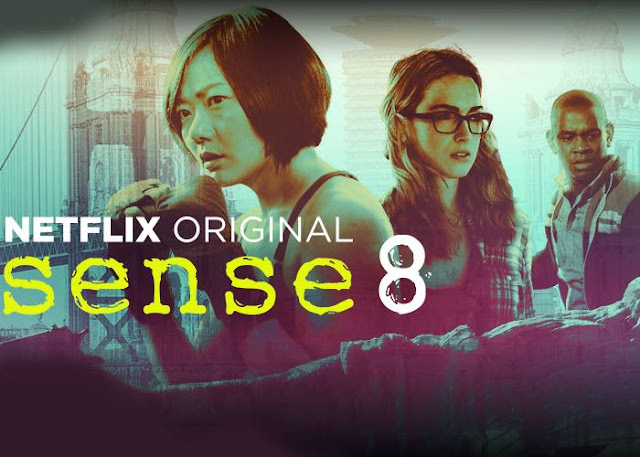 The characters in Sense 8 feel real in a way that only the creator of Babylon 5 can do, they are flushed out to the point of feeling like it is a documentary that suddenly gets extremely interesting. Despite myself I found I was worrying and even in some cases genuinely rooting for each character and the group as a whole. The genius built into the story engine is that it makes it very believable that someone is going to be in a very bad situation and hopefully someone else is going to try to save the day almost constantly. If you add in the interactions played completely straight that end up being hilarious new facts of life for those involved, and that the emotional story is treated with the same masterful deftness as the external plot mechanics, you can see why it was made. The level of craftsman ship in this show as a whole is staggering, it is the show that most shows try to be, and sadly usually fail at. 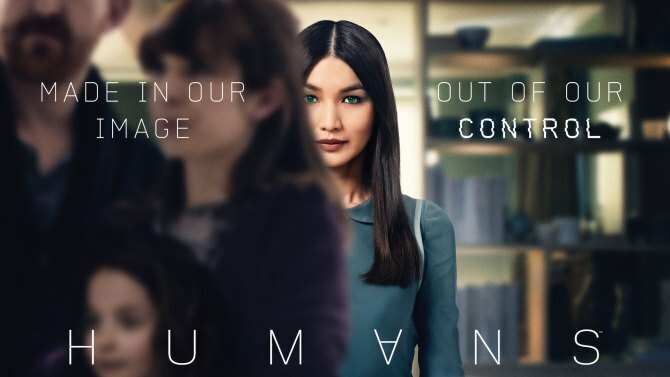 Humans is a bit more drama than usual, and it may not be the cup of tea for more adventure/action palettes. That being said, it is provocative in that it brings up a lot of questions about humanity as a whole. The sub plot of the robot uprising and the future gadgets fill out the science quota nicely. It is worth the watch in the old twilight zone sense of the world, more often than not you end up asking yourself questions about how you interact with the world. The psychological turn that the story takes delves into what it might actually be like when faced with artificial humans. If you are into the darker side of human nature and the struggle to be treated humanely, than this show delivers completely. The undercurrents of revolution add an occasional punch up of the action and intrigue. Overall it is an intriguing show to follow, the tone seems to be brightening a little and the pacing seems to be speeding up, which is pushing the entire show into the great category. Killjoys takes a pretty simple premise, bounty hunters in space, and over delivers to a ridiculous degree. It is everything you want in a traditional Sci Fi action/adventure/drama show, they check all the boxes. Crew full of complex lovable rogues with a higher purpose, check, awesome space ships, futuristic gadgets and weaponry, check, interesting sets and planets to explore, check, never ending slew of colorful characters showing up, check, deep seated mysteries and long game plots, check. I think Killjoys has the potential to stick around for the long haul, besides the above reasons stated, it has tapped into two very key things. First, Every episode builds the world more and adds depth to the universe as a whole, most of the time in a meaningful lasting way and not just a one shot kind of look at this way. Second, It is as character driven as it is plot driven, this is a story about good characters that happen to be kill joys that also happen to be in an awesome universe surrounded by cool places playing with cool toys, and that serves the role of being totally accessible. It deals with humanity and loyalty and relationships, and manages to do it far far away from any anvils or soapboxes. You show up for the explosions and the kung fu, but you end up staying because you know what it is like to worry about your brother. It isn't just a Sci Fi show worth watching, but instead just a good show that also happens to be Sci Fi. As if that wasn't enough it is sprinkled with the little touches only people really pushing for the extra points delve into, with quotable lines, floating heads, and ships having a thing for people. I mean who doesn't want to flirt with a ship? As always, thank you for reading, if you like this article, please share it using the buttons provided, if you enjoy the site, you can find all of our social media links at the top right of the page. Stay geeky.